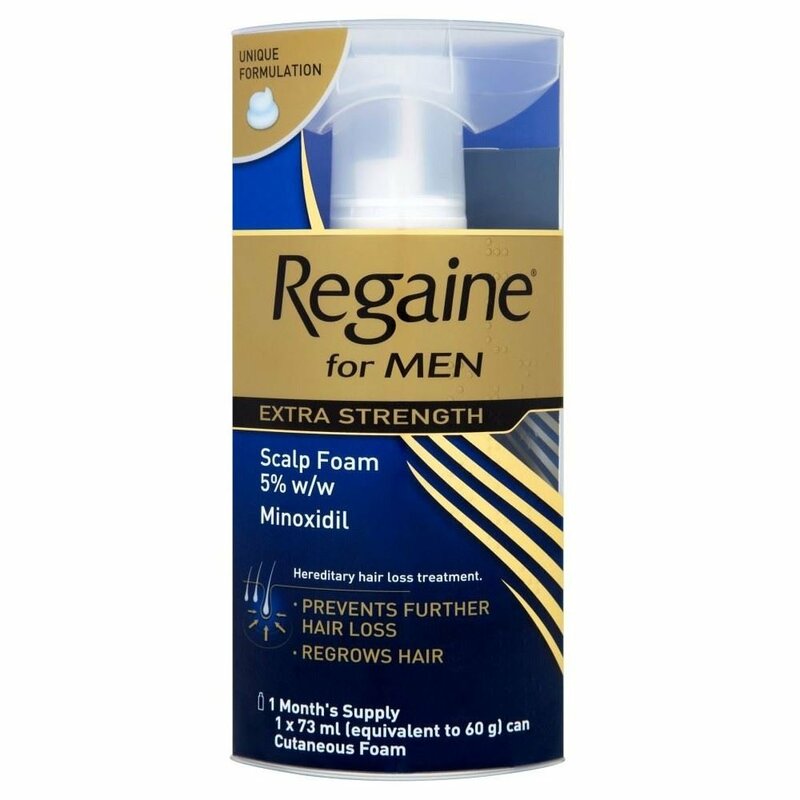 Regaine for Men is a type of medicinal foam used to stimulate hair growth for men. It is prescribed to those suffering from androgenetic alopecia, known more commonly as pattern baldness or hereditary hair loss. Symptoms include early hair loss and a receding hairline. Although there are no long term health side effects or impacts of alopecia, some men find that hair loss and a receding hairline can be distressing and embarrassing if it appears to age them prematurely. Regaine prevents this as it promotes hair growth. If you need to use Regaine for Men foam, you can buy it online safely from a UK doctor such as Doctor-4-U by completing our simple medical questionnaire and getting a certified prescription. It will be dispatched within 24 hours. .
Regaine for Men is a type of medicinal foam used by men to help hair regrowth if you suffer from early hair loss. It is a type of topical treatment, which means that it only has an effect on the areas you apply it to. Because of this, you should wash your hands thoroughly after using Regaine. A women’s version is also available. You need a prescription from a GMC/EU certified doctor in order to buy this medication online. To buy Regaine for Men from Doctor-4-U, simply complete our online consultation and if you are deemed suitable, we will dispatch your medication usually within 24 hours. If you are not deemed suitable for Regaine, you will receive a full refund. Do you need a prescription for Regaine for Men? Yes, you need a prescription from a GMC/EU certified doctor in order to buy Regaine online. With Doctor-4-U’s easy consultation process, you can get a prescription for Regaine safely and quickly. Select the item you want to buy, click “Start Consultation” and fill out the short medical questionnaire provided. If you are deemed suitable for your prescription, it will usually be dispatched within 24 hours. If not, you will receive a full refund. How does Regaine for Men work? Regaine contains the active ingredient minoxidil, which stimulates hair growth by increasing the blood supply to the hair follicles. This widens the follicles and encourages thicker, longer and more hairs to grow. As it is a topical foam, it will only have an effect in the areas you apply it. Be sure to wash your hands thoroughly after use. Although Regaine is designed for men suffering from hair loss, your medical history and other medications may mean it isn’t right for you. What are the side effects of using Regaine? If you think you may be having an allergic reaction (swelling of the hands and face, difficulty breathing) contact a doctor immediately. Do not get Regaine in your eyes. Apply one half cup full of foam (1mg) to the affected area once or twice a day. Do not exceed 2mg of foam a day. Only apply Regaine to the scalp.